Hello and welcome to Peacock Gypsies! So glad you decided to visit! Well, here it is…my very first post on my nice, new, shiny Blog! I hope I don’t dirty it up too much!! I’m not a writer so I won’t be offended if you take issue with my little blog…I’m really just here to share a little of my passion ~ Jewelry ~ I love making it, wearing it, looking at it, buying it, and designing it…yes, you might even call it an obsession… So, with the encouragement of friends and family I have decided to make my little obsession into a business! Whoa…WHAT?? Yes, it’s true, and since I’ve always believed if you decide to do something you should jump in with both feet, be fearless and try to ignore the naysayers, I decided that there was no time like the present!! Of course I have had lots of encouragement and inspiration. 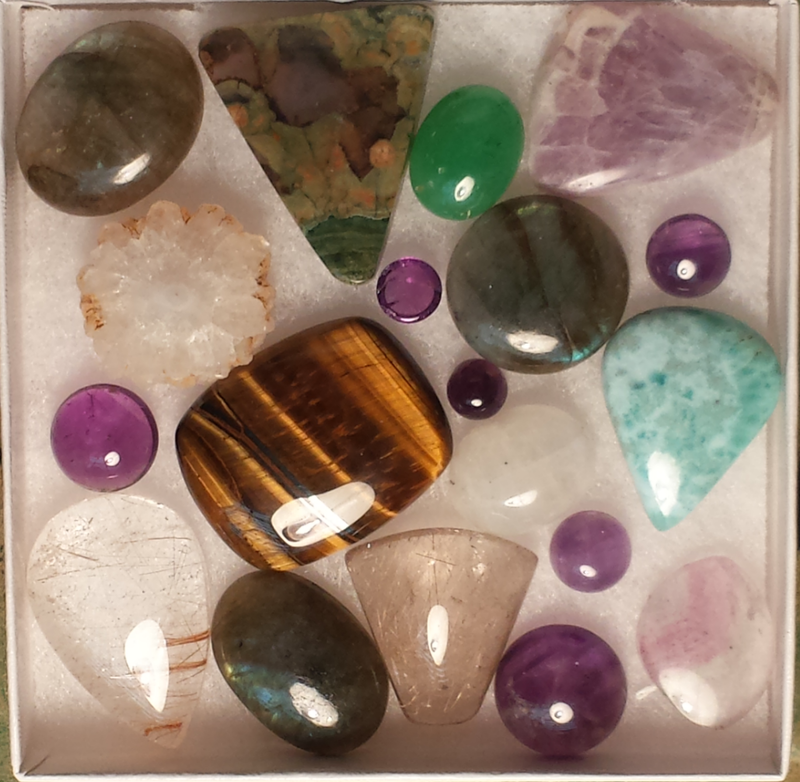 On the subject of inspiration, I was able to spend just a second, well maybe a bit longer, at one of the gem shows in Quartzsite AZ this past weekend. Picked up these beauties and will be creating some pieces in the next few weeks with them. And on that subject, it’s off to the studio…too much typing and not enough hammering will get me into trouble!! But before I go…I have to send a big shout out to my high school classmate, Julie Angelos Lama @ http://julieangelos.com/. Talk about inspiration and just an all around lovely person. You should definitely check out her blog!! You are doing SUCH a great job. I couldn’t be happier for you. It takes A TON of courage to get yourself out of your confort zone and hit that ‘publish’ button for the first time to make your dreams come true. You did it though. Well done girl. I cannot wait to see this grow. I’ll be watching. Thanks Julie!! You played a huge role in me taking the first!! !